Even if you don’t own a Quarter Horse, AQHA UK provide the opportunity for you and your equine companion to take part in a range of activities. For more information regarding any of these please see the relevant sections on the website and keep an eye on our events calendar for details of upcoming dates. Be part of a national team! AQHA UK have both Youth World Cup and Amateur Euro Cup teams which are held in alternate years. The teams are selected and trained through a vigorous program of clinics with some of the top UK and International coaches at national venues. Both schemes are open to applicants of all levels and endeavour to encourage everyone to improve their riding skills on a variety of horses whilst also working as part of a team. Our showcase event is the annual AQHA UK Championship Show where you can compete in a wide variety of western riding disciplines at all levels from Novice to National Champions. In addition to the AQHA classes we also run all breed classes in every event so providing other types of horse to demonstrate their skills in western riding too. The show is held at a different venue each year around the country, as voted for by our members, ensuring that it will be coming to an arena near you at some point soon! In conjunction with the AQHA UK Championship Show we have the Futurity Scheme which enables you to win cold, hard cash with your young Quarter Horse! By paying a small fee when registering your foal it is then eligible to compete at the show every year in exclusive Futurity and Maturity classes in order to win substantial monetary prizes. Horses can be enrolled up to the age of 5 but the sooner you do the sooner and the longer you can take advantage for! The Get On And Ride (GOAR) scheme is perfect for those who don’t like the bright lights of the show ring. All you need to do is ride ANY horse, in ANY saddle, in ANY style while hacking or trail riding ANYWHERE! The hours that you accumulate then translate into many awesome rewards including your picture in our Journal or even a Montana Silversmith buckle. Each year AQHA provide their affiliates with the opportunity to host a 2-3 day Horsemanship Camp, where a team of the best young instructors from selected universities in the USA travel around the world to promote the Quarter Horse through ridden clinics and educational lectures. These camps give a unique chance to bring everyone up to date with the latest training techniques, trends and happenings in the American equine industry in a fun and social environment. If you fancy honing your schooling skills we often support clinics with UK based instructors around the country in a variety of different disciplines from groundwork to reining. Whatever you want to work on, there are sure to be many professionals ready and willing to help you through our membership network. Organised trail rides provide a relaxing and fun day out for you and your horse in the company of like-minded horsey friends in some of the UK’s most beautiful countryside. Where ever you are based there are locations just waiting to be explored on horseback and we’d be more than willing to help enable that to happen if at all possible. You are always welcome to come along to any of the above events without a horse, whether to just spectate or even volunteer your services. They are always a good day out, whether for a family, friendship group or on your own, it is a great way to meet other members and make friends with common pursuits. Whatever your equine interests (and maybe you don’t yet know what they are!) AQHA UK can help you become involved at whatever level you wish, be it for information and education, relaxing hobby activities, serious competition events or even business opportunities. Are you fed up of being left at home while your ‘other-half’ goes to a horse show or event? Well get in touch with us as volunteers are always in huge demand due to the multitude of ‘behind the scenes’ jobs involved. From First Aiders, Welfare Stewards, Secretaries, Rosette Stewards, Entertainers, Risk Assessors and most importantly General Gofers we can fill your spare time! No experience is required for many of these roles and training can be provided for others, don’t be afraid to ask if you could be of assistance – chances are you can! How about becoming a sponsor? Our association is a registered charity so every penny counts and the more funds we have the more we can give back to our members. There are many opportunities for providing sponsorship through AQHA UK from buckles for championship classes, fundraising for our teams, rosettes for trail rides, lunch at a clinic or just simply donating. For more details of our sponsorship packages and what we can offer you in return please feel free to contact us. Those of us that have the privilege of sitting on the AQHA UK Council work hard to keep everything running smoothly for our members, but this involves a huge range of skills from marketing to accounting to using social media! Occasionally we have vacancies on council or need additional support in certain areas, and we realise that within our membership we have access to many successful professional people who could aid us from time to time. These roles are always advertised but even if not and you feel your services could benefit the association please do get in touch to let us know your thoughts and ideas. Then you’re probably looking at some good ‘impartial’ advice about buying a horse. Choosing a horse could be one of the most important decisions you make, and having advice is essential for the prospective horse owner. 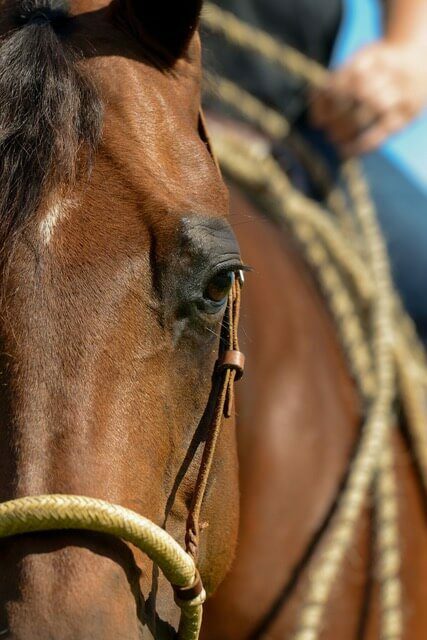 Quarter horses are enjoyed by people of all ages, from happy hackers to serious competitors; having all the information you need to make the right choice will enable you to be a confident rider and enjoy many years of riding. A lot of thought needs to go into the purchase of a horse, especially if it’s your first. Do you know what good conformation looks like? It’s important to know that you’re purchasing a well-built, sound horse that will perform to your expectations for years to come. Do you know how much training the horse has had, are you aware of the costs involved in owning a horse? Choose wisely and create a friendship that’s second to none. Go to our “Guide to Buying an American Quarter Horse” page for further information. And we are always here to give impartial free advice – contact us at info@aqha.uk.com at any time.